The Teclast T20 is a 10.1-inch Android tablet from China with a very affordable price and a lot of interesting features. Among those are a full metal body, a fingerprint scanner, built-in LTE 4G, and a high-resolution screen. It also features a quite powerful deca-core processor. Here is everything you need to know about the Teclast T20. The Teclast T20 is a very interesting China tablet which you usually have to import from China. However, that is very easy. Even though it is affordable, we’re getting a full metal body with a built-in fingerprint sensor on the back. Usually, you have to pay around 300 US Dollars for that. A major highlight of the Teclast T20 is its 10.1-inch screen. It is an IPS panel which is fully laminated and has a resolution of 2560 x 1600. At the same time, it is very bright. The T20 features a MediaTek Helio X27 deca-core processor which consists of ten cores in total. Additionally, we are getting 4GB of memory and a 64GB internal flash storage. It also supports GPS and 4G LTE with a phone and SMS text messaging feature. Like most tablets, the Teclast T20 has two cameras. They both have a resolution of 13 megapixels each. On the sides, there is a USB C port, a standard headphone jack, and a microSD card slot. And yes, there is room for a SIM card as well. The T20 is running Android 7.1 Nougat which is customized very lightly only. 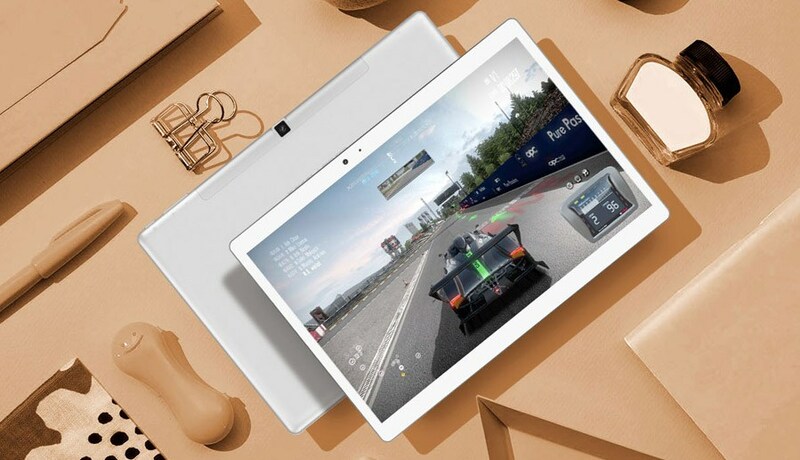 Teclast released the Teclast T20 in China in the Summer of 2018. As I mentioned earlier, you probably have to import it using import shops. Well, that is very easy. Usually, you can get this tablet starting at around 215 US Dollars. A similarly priced alternative to the Teclast T20 is the Huawei MediaPad T5 10. However, the screen has a lower resolution and we don’t get a fingerprint scanner with that one. If you want a high-resolution screen, a fingerprint reader, and even other premium features like four great speakers, you could check out the Huawei MediaPad M5 10. Depending on the country and deal, you usually have to pay at least 150 US Dollars more though. Considering its price, the Teclast T20 is a great Android tablet with a lot of interesting features. In fact, it has a great screen, a good build quality, and solid performance. Additionally, it offers a lot of premium features like a fingerprint scanner, LTE 4G, and a full metal body. However, sadly, the battery life is very short. And I would love to see Android 8 on here.